Usually every year, during this week, I reflect on the past. 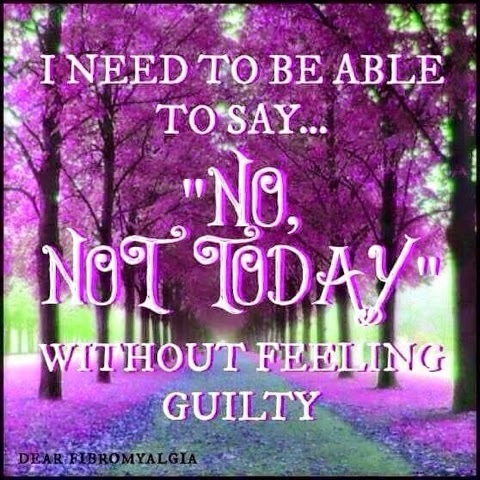 I reflect on how this disabling disease,Chronic Fatigue Syndrome and Fybromyalsia, has very much taken over my life. How, in many of a sense, it has made it impossible to have a life. I reflect how days go by,with me watching life from afar. Watching everyone around me live their life, getting on with their life. So many dreams I’v had to abandon or put on hold. Hoping one day,these dreams, might come true. I reflect on the judgement and criticism I receive from people around me. The unbelievable feeling of hurt and abandonment from this. 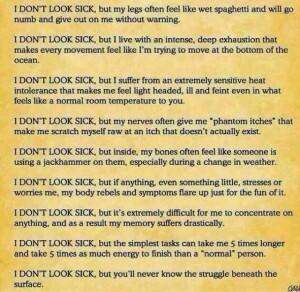 The hurt, when people cannot see the severity of the pain my body experiences, or multiply of symptoms I have that are in fact invisible to most people, so there for must not be true. How I have had to deal with rejection over and over again because others cannot deal with MY health problems despite the fact I’m the one living or going through it. People who cannot accept my life is a daily struggle and not all roses and peaches. People who refuse to accept that THIS is my reality! How ever terrible or depressing it may sound- this, right now is my life. 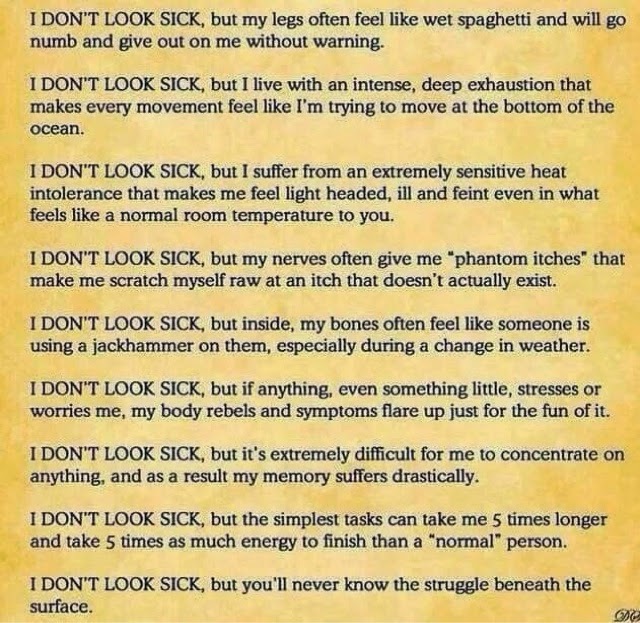 Having CFS and FM since I was 12, such a long time ago, I honestly cannot remember what it is like NOT to be sick. I don’t know what it is like not to go through a day with out feeling fatigued. I don’t know what it is like just to feel tired- tired being where I have a rest and feel re energised. 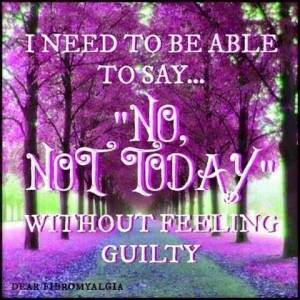 I can’t remember the last time I didn’t feel or experience pain on a daily basis. I just don’t remember what it is like to feel healthy for even a day. My dreams are simple, ones that most people take for granted. I wish I could run, run with my children in the park. I wish I could go for long strolls on the beach. I wish I could take my kids to school and pick them up! Take my daughter to her dance lessons, go to all the celebrations and assemblies at the schools. I wish I could spend a whole day baking and cooking for the week! I wish I could see my family and friends more, go out and stay out late till the sun comes up and than have breakfast on the beach! There are days where it’s very bleak. I feel completely alone and wish someone would txt or ring me and ask ” How are you?” And mean it. And want to truly know, not just ask out of politeness. 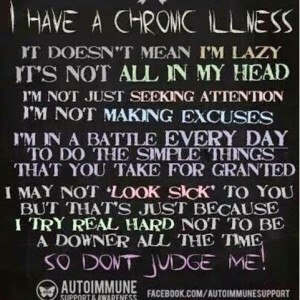 I struggle physically and mentally through the pain and fatigue I experience. There is no end in sight, not any time soon and I’v learnt to accept this even though some days are harder too than others. Everyday is a challenge to stay positive. I find comfort in connecting with other people who suffer with CFS/ FM.I feel less alone. Even though we are all strangers in so many other ways we are not, because we are all on the same page. We are all experiencing the same struggles daily. 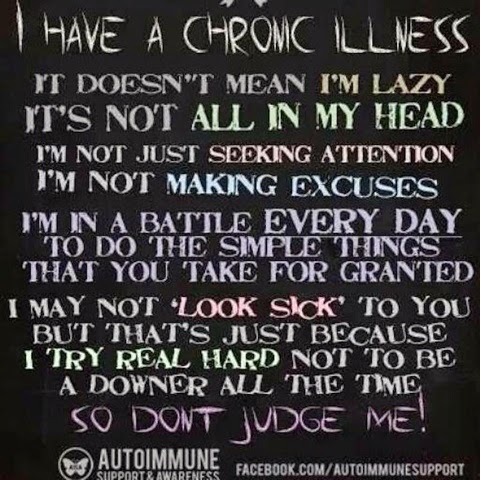 We are all living with a disabling chronic disease, where there is little understanding,not much empathy,much stigma attached to it and as yet,or may never be, a cure. Together we are walking in each others shoes, some more worn out than others, but never the less we are all walking the same cruel path,with little choice in destination. More than anything we want people to understand what we are going through, to empathise with us and if they can’t,than to just sit with us in silence. Just because you cannot see something, does not mean it isn’t there. Just because you cannot feel it, does not mean somebody else cannot. My husband and children see how I am affected everyday. They witness my struggles and the pain I go through. My children give me the most amazing comfort and have the most amazing compassion for me. They bring me light and love every day and I feel blessed to be surrounded by such loving children. My faith gives me comfort and hope, that these daily struggles and sufferings are not in vain, but that there is a greater purpose for it all, one , I yet to comprehend myself. Praying and going to church ,brings me peace and a sense of belonging in this world where someone who is chronically ill may not otherwise fit in or have a place. 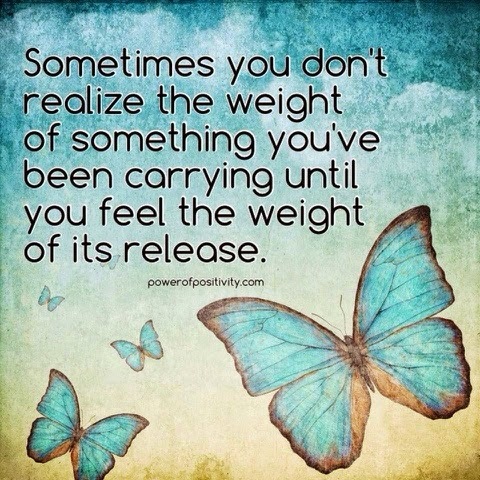 Thank you for sharing your post, it is very deep and meaningful. 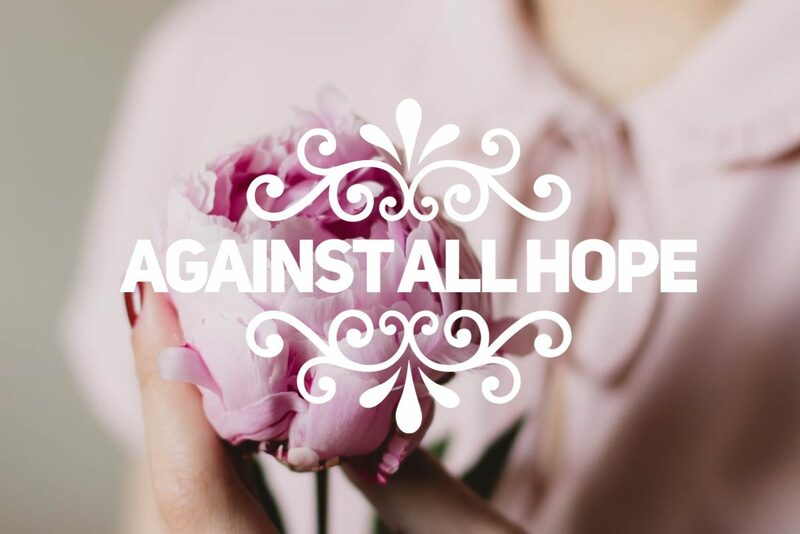 I'm so proud of the all the ME/CFS sufferers, especially this week all the extra efforts everybody has put into raising awareness has been amazing! I hope your going ok this week. I'm so sorry that this is your cross. A silent or unseen cross is hard to bear because others don't recognize. I'll keep you in my prayers.